I'm hungry and I'm coming over. 1. A 12-pice floral dinnerware set that'll give your guests the ~garden variety~ of plates they desire to eat up your yummy dishes. Get them from Walmart for $49.97. 2. Porcelain serving bowls complete with a metal tray so you can create a sturdy array of dips and hors d'oeuvres to satisfy hungry friends before the main course is served. Get them from Walmart for $18.97. 3. A pretty patterned tablecloth for anyone who wants to guard their kitchen table from messes and easily impress everyone at the dinner party. Get it from Jet for $24.99 (88"x60"). 4. A one-pan maple rosemary chicken recipe and a heavy-duty baking sheet to ensure you can whip up the tasty meal you see below on your own table. Get the 15" baking sheet from Walmart for $10.50. 5. And a set of four porcelain ramekins and a super easy three-ingredient creme brulee recipe that'll make your guests say "wooooow and dessert!" This photo brings me to tears. Get the full recipe from Tasty. Get the ramekins from Walmart for $10.81. 6. A six-quart Pioneer Woman Instant Pot for anyone who wants to cook super quick mac and cheese, soups, taco filling, fried rice, and so much more for a crowd. 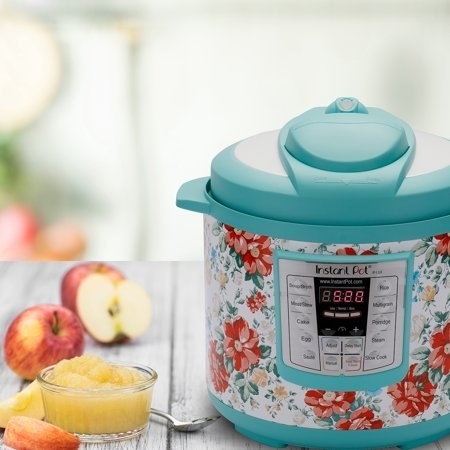 I love my Instant Pot but I wish I held out on buying mine because this floral version is 😍. 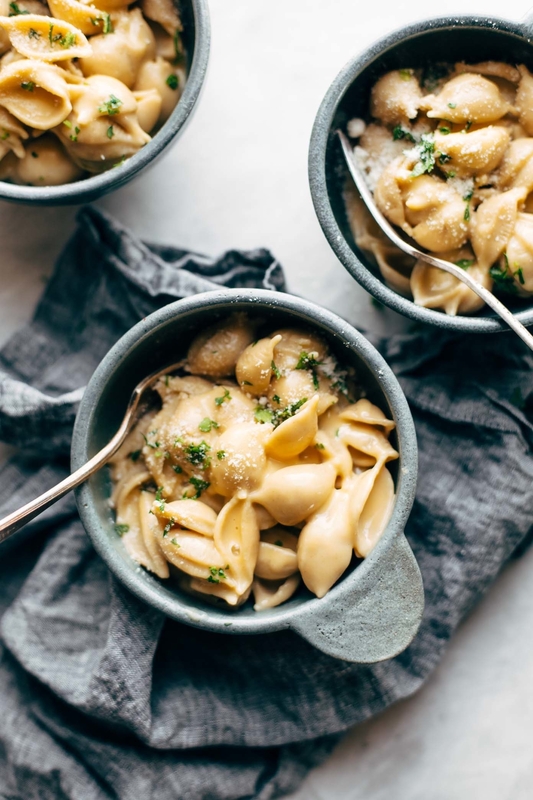 Learn how to make five minute Instant Pot mac and cheese from pinch of yum or garlic herb shrimp and spaghetti squash from Tasty. Get it from Walmart for $99 (available in two colors). Get it from BuzzFeed's Tasty collection at Walmart for $8.97+ (available in four colors). 8. A clever apron all your friends will be jealous of. It's got all sorts of cooking tips, measuring charts, and even recipes on it — just look down when you are in a pinch! Get it from Walmart for $22.99. 9. A stoneware and bamboo cheese board can win the party people over even if your cooking skills aren't top notch. Serve up some prosciutto and the best mozzarella di bufala you can find for a fancy filling time. 10. 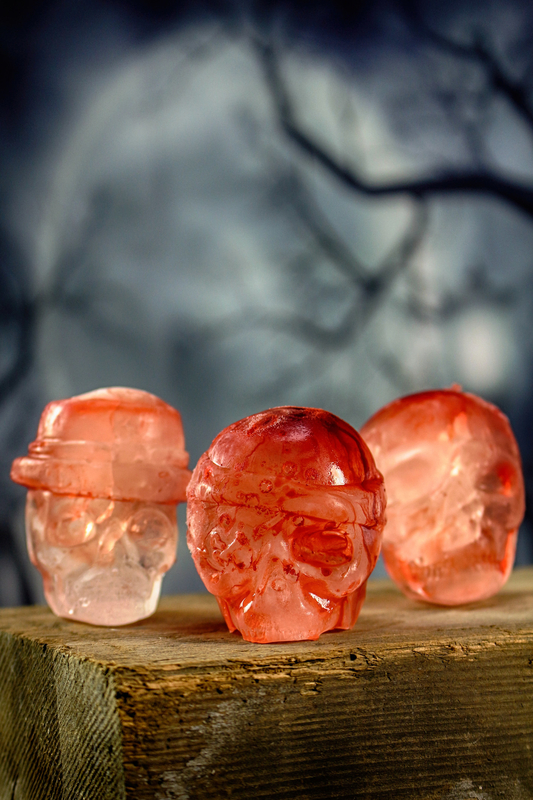 Skull ice cube molds to make your next dinner party the spookiest one yet. 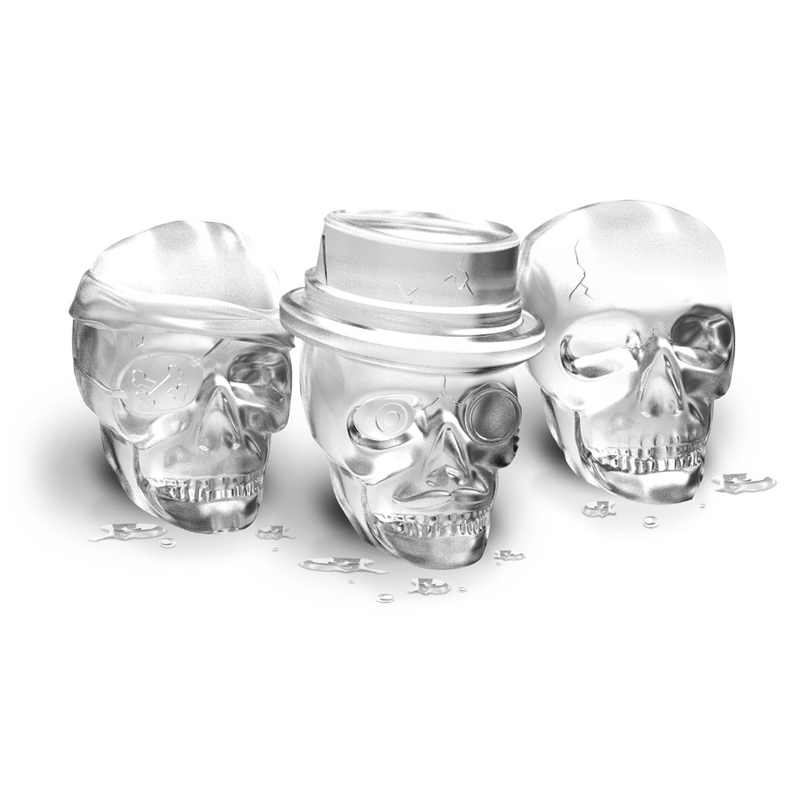 Get them from Jet for $12.99. 11. A four-tier rustic kitchen serving cart that just may be great at first impressions and serving wine and cocktails, even if you're not. Get it from Jet for $213.49. 12. And a galvanized three-tier serving tray can keep the rustic theme going strong and impress your gusts with your selection of artisan honeys and jams. Get it from Walmart for $43.65. 13. A non-stick egg poacher capable of poaching four eggs to perfection in a skillet or pan, so you can cross easy peasy eggs Benedict brunch of your bucket list. Now all you gotta do is nail that hollandaise sauce! 14. A simple yet elegant French press or Chemex that'll be there for you when you need to make a batch of incredible coffee to pair with brunch or dessert. 15. A handled serving plate worthy of depending on when it's time to present a work of art to your guests, AKA "dinner." Get it from Walmart for $15.60. 16. 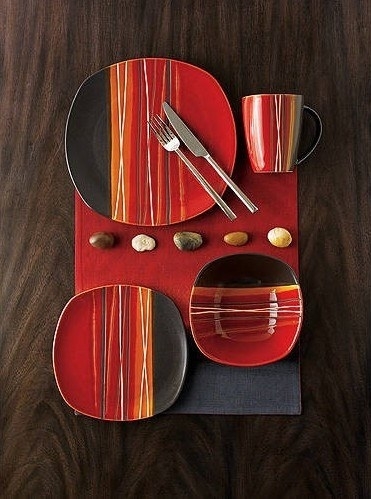 A 16-piece of colorful dinnerware (matching mugs included!) 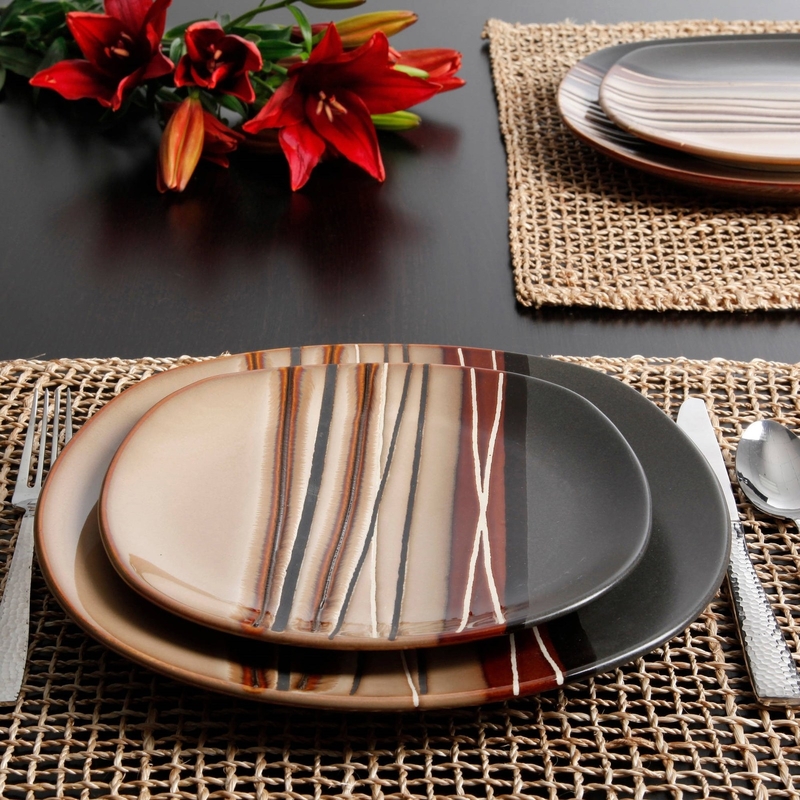 perfect for anyone who is serving a bold fierce meal at their next dinner gathering and needs the plates to match. Get them from Jet for $35+ (available in three colors). 17. A jar of DeLallo's garlic and jalapeño pepper stuffed olives that'll delight friends and family members when they taste these babes on your olive plate. Get a jar from Walmart for $4.48. 18. A set of four gorgeous glass goblets to make the whole neighborhood want to come over and sip homemade lemonade with you on the porch. Get them from Walmart for $11.88+ (available in three colors). 19. And a set of three mini ice cube trays featuring fun shapes, because sometimes it's the little details that can make a meal memorable! Get them from Walmart for $7.48.